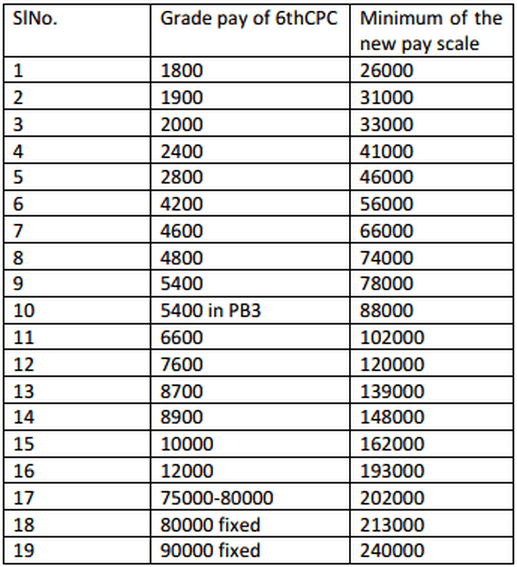 Expected Dearness Allowance for July 2014 : AICPIN for the Month of June 2014. The All-India CPI-IW for June, 2014 increased by 2 points and pegged at 246 (two hundred and forty six). On I -month percentage change, it increased by 0.82 percent between May, 2014 and June, 2014 when compared with the rise of 1.32 per cent between the same two months a year ago. The largest upward pressure to the change in current index came from Food group contributing 1.37 percentage points to the total change. At item level, Rice, Fish Fresh, Goat Meat, Poultry Chicken, Milk, Onion, Potato, Tomato and other vegetables, Sugar, Cigarette, Electricity Charges, Bus Fare, Barber & Tailoring Charges, Toilet Soap, etc. are responsible for the increase in index. However, this increase was restricted to some extent by Wheat & Wheat Atta, Edible Oils, Fruits, Soft Coke, Medicine (Allopathic), etc., putting downward pressure on the index. The year-on-year inflation measured by monthly CPI-IW stood at 6.49 per cent for June, 2014 as compared to 7.02 per cent for the previous month and 11.06 per cent during the corresponding month of the previous year. Similarly, the Food inflation stood at 5.88 per cent against 7.66 per cent of the previous month and 14.86 per cent during the corresponding month of the previous year. At centre level, Goa, Madurai, Vishakhapathnam, Bengluru and Kodarma recorded the maximum increase of 6 points each followed by Ahmedabad and Hubli Dharwar (5 points each). Among others, 4 points rise was observed in 8 centres, 3 points in 11 centres, 2 points in 16 centres and I point in another 16 centres. On the contrary, a decline of 8 points was reported in Giridih, 2 points each in Yamunanagar and Sholapur, and 1 point in 5 centres. Indices of remaining 12 centres experienced no change. The indices of 36 centres are above and other 42 centres are below national average. The next index of CPI-IW for the month of July, 2014 will be released on Friday, 29 August, 2014. The same will also be available on the office website www. labourbureau.gov. in. Government of India has accepted in principle the recommendation of the Sixth Central Pay Commission for introduction of a Performance Related Incentive Scheme (PRIS) in the form of pecuniary benefit over and above the regular salary, based on the targeted performance and performance parameters, out of the Non-Plan budgetary savings, for the Central Government employees. All the recommendations of the Sixth Central Pay Commission were discussed with all stakeholders, including employees’ unions, before Cabinet approval. Dr. Jitendra Singh MoS (PPG&P) gave this information in Lok Sabha today in a written reply to a question by Shri Bhartruhari Mahtab and Shri Sanjay Dhotre. Reports have appeared in some section of the media that Railway Board is considering to replace all 2nd class sleeper coaches in mail and express trains within the next five –six years. This is not correct. The reports have in this connection also mentioned that some trains in Southern Railway have attached one AC-3 tier coach in place in 2nd sleeper coach. The Ministry Railways would like to clarify that Indian Railways, in its role, as a national carrier of the nation, has to cater to the need of all sections/categories of the travelling passengers and as such, at present there is no proposal to replace Sleeper Class coaches of all trains on Indian Railways with AC-III Tier coaches. Incidentally, the composition of a train is subservient to various factors which include the route, timings of the service, journey time is also the traffic pattern on the specific route. Further, augmentation of trans is an on-going process, on Indian Railways, subject to operational feasibility, traffic justification and availability of resourceas including coaches. However, changes in the composition/augmentations of trains are done on the basis of demand pattern and availability of resources. The grievances received from pensioners from across the country, are registered and forwarded to respective Ministries/Departments for early redressal and monitored through online Centralized Pension Grievance Redressal and Monitoring System (CPENGRAMS). This Department holds regular review meetings, at least once a month, with the Ministries/Departments having pending grievances. As a result of this, last year 22,494 grievances have been disposed and during the current year to date 8078 grievances have been disposed against 12,136 pending grievances. This is followed up with correspondence with concerned Ministries/Departments enclosing reports of pending grievances. The information required by pensioners are incorporated in the Frequently Asked Questions (FAQs) and are available on the departmental website – the Pensioners’ Portal. Dr. Jitendra Singh MoS (PPG&P) gave this information in Lok Sabha today in a written reply to a question by Shri Nishikant Dubey and Shri Kunwar Haribansh Singh. The Minister of State for Mines, Steel and Labour and Employment, Shri Vishnu Deo Sai has said that the government has declared 8.75% interest on Employees’ Provident Fund (EPF) for the year 2013-14. In a written reply in the Lok Sabha today, Shri Vishnu Deo Sai has said that return on EPFO fund cannot be compared with return on other Pension Schemes like New Pension Scheme (NPS). The declaration of the return on NPS is on the basis of the accounting policy prescribed by NPS which allows the Net Assets Value (NAV) to be declared on the basis of current market value of the investments, while EPFO follows the cost value of the investment for accounting its investment and return is declared on the basis of actual receipt of interest on the investments. The return on EPFO investments is fixed whereas the return on NPS is not fixed and fluctuates on daily basis depending on the prevailing market conditions. The Minister said that presently the funds of EPFO are invested as per the pattern of investment notified by the Government in November, 2013 wherein only investments in corporate debt and Government bonds are allowed. There is no provision for investments in equities. The Minister of State for Mines, Steel and Labour and Employment, Shri Vishnu Deo Sai has said that the Government has since approved a proposal for increase in wage ceiling for coverage under Employees’ Provident Funds & Miscellaneous Provisions Act, 1952 from Rs. 6,500/- to Rs. 15,000/- per month. In a written reply in the Rajya Sabha today, Shri Vishnu Deo Sai has said that there is no proposal under consideration for revision of pensionable salary at regular intervals keeping in view the rate of inflation. The Government has approved a minimum pension of Rs. 1,000/- per month to the pensioners under Employees’ Pension Scheme (EPS), 1995. The petitioner/NCERT is aggrieved by an order of the Central Administrative Tribunal (hereinafter called ?CAT?) dated 12 March, 2014 whereby the respondents? 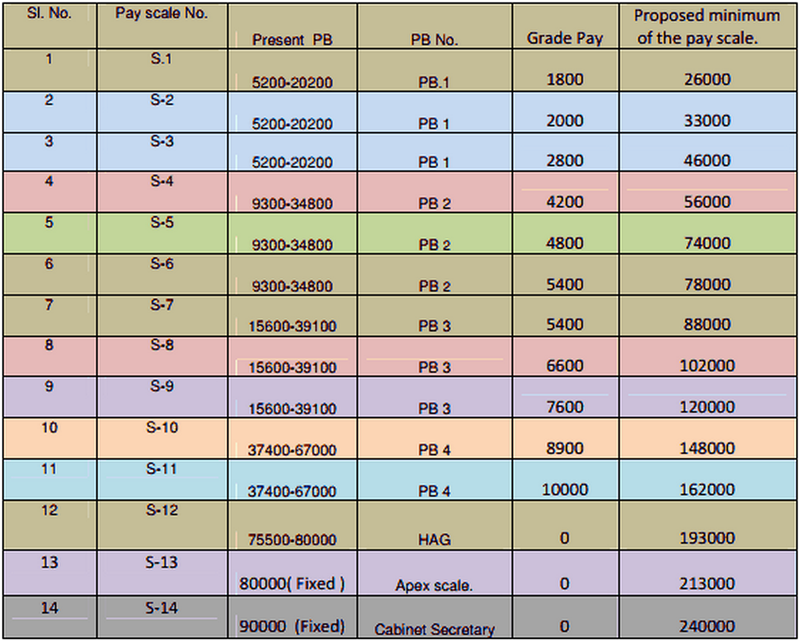 claim to be placed in the pay scale `9300-34800/- with grade pay of `5400/- was directed to be considered. The NCERT submits - his counsel argues- that the CAT fell into error in making the impugned directions at the first hearing. It was submitted that the CAT should not have directed the grant of relief once it was brought to its notice that the NCERT, on 26 November, 2013, had consciously considered and rejected the claim of higher pay scale. The impugned order of the CAT is premised upon the respondents? entitlement to the pay scale claimed by them which, in turn, was based on a judgment of the Punjab and Haryana High Court in CWP 19387/2011. That judgment was not interfered with by the Supreme Court even though SLP (CC) 7467/2013 was preferred. The NCERT?s rejection of the respondents? claim for the higher pay scale appears to be solely based on the absence of any DOPT instructions pursuant to the Punjab High Court?s orders. Having regard to these circumstances, this Court is of the opinion that since there is no direction to grant pay scale, the NCERT should pass a reasoned order indicating its reasons for denying the pay scale claimed by the respondents. In other words, its reasons cannot merely be absence of DOPT instructions, but have to be more substantial, upon application of mind to the judgments and directions of the Punjab and Haryana High Court, as endorsed by the Supreme Court in its orders. As indicated in detail in the introductory Chapter, we have made certain additions to elucidate the views and contentions in respect of some matters and added a paragraph on certain other issues under the Chapter Miscellaneous. We request that the 7th CPC may consider our submissions and make appropriate recommendations to the Government. Accordingly, the Commission, headed by its Chairman, Justice Shri A. K. Mathur, proposes to visit Bengaluru between 25th August and 27th August 2014. The Commission would like to invite various entities/associations/federations representing any/all categories of employees covered by the terms of Reference of the Commission to present their views. Your request for a meeting with the Commission may be sent through e-mail to the Secretary, 7th Central Pay Commission at secy-7cpc@nic.in . The memorandum already submitted by the requesting entity may also be sent as an attachment with this e-mail. An early response in this regard would facilitate proper scheduling of the meetings. Ceiling Rates for reimbursement of the cost of Cardiac pacemaker, AICD, Combo-device, Rotablator and Aortic Stent Graft to beneficiaries of CGHS/CS(MA) Rules. Dated the 22th July, 2014. 2. Permission for the above mentioned implants shall be granted on the basis of advice of Govt. cardiologist by CMO in-charge / Additional Director / Joint Director, CGHS in case of pensioners, former Governors, former Vice-Presidents, ex-MPs, Freedom Fighters, etc., by Rajya Sabha / Lok Sabha Secretariat as the case may be in case of sitting Members of Parliament and by the concerned Ministry / Department / Organization in case of serving Government employees, serving employees and pensioners of autonomous bodies covered under CGHS. The reimbursement shall be limited to the ceiling rate or actual rate, whichever may be less. 4. In case of requests for replacement of a device, a copy of the details of the earlier device as well as a copy of terms and conditions of Warranty shall be enclosed along with the advice of Govt. specialist. 5. A copy of the device ‘ID No Sticker‘ and a copy of terms of warranty shall be enclosed along with the bill of device for reimbursement. 6. In case of implantation of any of the devices in emergency, reimbursement shall be subject to ex-post facto approval by Addl. Director/Joint Director, CGHS of city, in consultation with experts, if necessary. 9. This issues with the concurrence of Integrated Finance Division vide CD No C 756 dated 14/07/2014. Employment News Weekly Updates From 26th July to 01st August 2014. Name of Post- Mid-Wife, Fireman, Durwan etc. IRISET, Secunderabad, JRRPF Academy, Lucknow. IRITTM, Lucknow. The Pay & Accounts Officer, Railway Board. Please refer to Board’s letter of even number dated 18.07.2011, conveying enhancement in the rate of Festival Advance by 25% on increase of Dearness Allowance to 51%. 2. Railway Board vide letter No. PC.VI/2008/1/7/2/1 dated 28.03.2014 has enhanced the DA payable to railway employees from the existing rate of 90% to 100% w.e.f. 01.01.2014. 3. Consequent upon aforesaid enhancement of DA to 100%, the matter regarding revision in the rate of Festival Advance has been considered by the Board and decided that the rate of festival advance shall increase by 25%, w.e.f. 01.01.2014. 5. There is no change in the other terms and conditions for grant of festival advance. The demand for one rank one pension (OROP) was accepted by the previous government and a provision of Rs. 500 crore was made in the interim budget. The new government, stating its intention to implement the demand many times, has also provided for it in the regular budget. However, veterans are nowhere near getting the enhanced pensions envisaged. What is the current status on OROP? A high-level meeting was taken by the defence minister on July 16 to thrash out issues with Service Chiefs, staff of Services headquarters and the top brass of the defence ministry, including defence accounts and the department of ex-servicemen’s welfare attending. Also present were the representatives of four major ex-servicemen’s organisations to give inputs and plead their case. Regrettably, the meeting was inconclusive. A deadlock was created over the most basic issue, the very definition of OROP between bureaucrats of the MOD on one side and the uniformed fraternity plus the veterans on the other. The defence minister stated that the Koshiyari Committee’s definition of OROP might not be acceptable to the government now. His remark to veterans to lower their expectations reveals the stand of the government on the issue, causing consternation among them. The political executive as well as the people of this country must realise that OROP is not a concession but is meant to offset restricted terms of service to soldiers wherein they are retired at a very young age. Here, the definition set by the Koshiyari Committee must prevail in that OROP implies that uniform pension be paid to Armed Forces personnel retiring in the same rank with the same length of service, irrespective of their date of retirement, and any future enhancement in the rates of pension to be automatically passed on to past pensioners. It is significant that this explanation had already been accepted by the government. My take is that the government needs to show political will and make good on its promises. The Indian Navy looks after its own. Through the Naval Regimental System (NRS), an institutionalised support system has been set up to provide practical help to widows and next of kin of naval personnel. Seven Command Regimental System Officers and their teams are on the job, getting in touch with families of deceased naval personnel, whether retired or serving, to look after them and make certain that they receive all their entitlements. Regimental state units exist on the ground to meet veterans and widows: while updating their database, they educate them on their justifys. They make sure all widows have canteen cards and ECHS memberships besides other documents, enabling them to exercise their justifys and privileges. Started in 2011, the NRS has now been instituted all over the country and has been successful in providing substantial assistance to a number of naval widows. As part of the targets set for the ‘Year of Ex-Servicemen’ in 2012, the outreach programme for veterans and widows was put into motion. The next year this was extended to the scheme to undertake full responsibility for the welfare of widows and next of kin. The results have been very satisfying. Prime Minister Shri Narendra Modi today launched MyGov, a platform that empowers the citizens of India to contribute towards Surajya. Speaking on the occasion, which also marked the completion of sixty days of the new Government, the Prime Minister said the success of democracy is impossible without participation of the people. Stating that in the past, there used to be a big gap between the people and the processes of governance, the Prime Minister said that in the past sixty days, the experience of his Government was that there were many people who wanted to contribute towards nation-building, and devote their time and energy. The only thing they required was an opportunity to shine and showcase their contribution. The Prime Minister said the MyGov platform is a technology-driven medium that would provide this opportunity to contribute towards good governance. The Prime Minister expressed confidence that the people would welcome this initiative. He also invited suggestions to strengthen and improve the platform. He hoped that everyone would join hands through this platform to take the country forward, and to meet the aspirations of the poorest of the poor. He said he was confident of success in this mission, because he recognized the strength and capability of 125 crore Indians. The Prime Minister said he looked forward to receiving the suggestions, views and ideas of the people. The platform - MyGov - presents an opportunity to the citizens to both ‘Discuss’ and ‘Do.’ There are multiple theme-based discussions on MyGov where a wide range of people would share their thoughts and ideas. Further, any idea shared by a contributor will also be discussed on these discussion forums, allowing constructive feedback and interaction. For those who wish to go beyond discussions and wish to contribute on the ground, MyGov offers several avenues to do so. Citizens can volunteer for various tasks and submit their entries. These tasks would then be reviewed by other members and experts. Once approved, these tasks can be shared by those who complete the task and by other members on MyGov. Every approved task would earn credit points for completing the task. National Informatics Centre (NIC), Department of Electronics and Information Technology (DeitY) would implement and manage the platform “MyGov” which would facilitate Citizen Engagement in Good Governance. Groups and corners are an important part of MyGov. The platform has been divided into various groups namely Clean Ganga, Girl Child Education, Clean India, Skilled India, Digital India, Job Creation. Each group consists of online and onground tasks that can be taken up by the contributors. The objective of each group is to bring about a qualitative change in that sphere through people’s participation. The Minister for Communication and IT, Law and Justice, Shri Ravi Shankar Prasad, and senior officers of the Government of India were present at the launch of the platform. The inauguration of MyGov is a small step towards the larger mission of becoming a one stop centre for citizen engagement towards good governance. Over time the number of groups, tasks and discussions will increase. MyGov would also be used as a comprehensive knowledge repository, giving insights from the sharpest and brightest minds across India. Amendments in Rajasthan Civil Services (Pension) Rules, 1996. Sub. :- Amendments in Rajasthan Civil Services (Pension) Rules, 1996. 1. These rules may be called the Rajasthan Civil Services (Pension) (Amendment) Rules, 2014. 2. These rules shall come into force with effect from 01.09.2006. (b) if both the family pensions are payable at the rates mentioned in Rule 62(i) the amount of two pensions shall be limited to twenty three thousand and one hundred rupees per mensem. 4. The provisions regarding "Non-accrual of arrears” for the period from 01/09/2006 to 31/12/2006 as contained in para 4 of FD Notification No. F.12(3)FD(Rules)/2008 dated 12-09-2008 shall also be applicable to the aforesaid amendments. Finance Department - Establishment - Treasuries - Pay and allowances of July, 2014 to Muslim Employees - Early Disbursement in connection with Ramzan Festival - Sanctioned - Orders issued. In view of the ensuing Ramzan, Government are pleased to accord sanction for the payment of pay and allowances/salaries of Muslim employees of State Government including full time and part time contingent employees, work establishment staff, N.M.R workers of all Departments and employees of Aided Schools/ Colleges and Polytechnics for the month of July 2014 from 24.07.2014 in relaxation of Article 75 (a) KFC Volume I. Subject: The Lokpal and Lokayuktas Act, 2013 - Submission of declaration of assets and liabilities by the public servants for each year and placing the same in public domain on the websites of the Ministries/ Departments. The undersigned is directed to refer to the subject mentioned above and to say that the Government has notified the Public Servants (Furnishing of Information and Annual Return of Assets and Liabilities and the limits for Exemption of Assets in Filing Returns) Rules, 2014 under the Lokpal and Lokayuktas Act. 2013, on 14.07.2014. The same is available on this Department's website at http://persmin.nic.in/Lokpal_Homepage_New.asp. 2. As per the said Act and the Rules framed thereunder, every public servant shall file declarations, information or return, as the case may be regarding his assets and liabilities as on the 31st day of March every year, to the competent authority, on or before the 31st day of July of that year. It may be noted that as per Section 2(1)(o) of the Act, "Public Servant" means a person referred to in clauses (a) to (h) of sub-sectlon (1) of section 14 of the Act but does not include a public servant in respect of whom the jurisdiction is exercisable by any court or other authority under the Army Act, 1950, the Air Force Act, 1950, the Navy Act. 1957 and the Coast Guard Act, 1978 or the procedure is applicable to such public servant under those Acts. 3. It may also be noted that the definition of public servant covers all Central Government servants (Groups A. B and C). Therefore, all Central Govenmient servants are required to file the declaration. This is an important difference from the Central Civil Services (Conduct) Rules 1964 and may kindly be noted. 4. As per these Rules, the public servants who have filed declarations, information and annual returns of property under the provisions of the rules applicable to such public servants shall file the revised declarations, information or as the case may be, annual returns as on the 1st day of August, 2014, to the competent authority on or before the 15th day of September, 2014. All Ministries/Departments are accordingly, requested to please bring the provisions of the Public Servants (furnishing of Information and Annual Return of Assets and Liabilities and the limits for Exemption of Assets in Filing Returns) Rules, 2014, to the notice of all concerned for compliance. 5. Formal amendment to the Central Civil Services (Conduct) Rules 1964 will be made in due course. There are certain complaints of overcharging by the Central Government Health Scheme(CGHS) empanelled private hospitals. However it does not include the Institute of Liver and Biliary Sciences in Delhi, which is an autonomous body under the State Government of Delhi. 9. Saral Advanced Diagnostics Pvt. Ltd. Excess amount charged has been deducted and paid to the beneficiaries. Warning letters were issued by Addl. Director, CGHS and the excess amount charged was recovered and paid to the beneficiaries. Warning letters were issued by Addl. Director, CGHS and the excess amount charged was returned to the beneficiaries. The CGHS empanelled hospitals and diagnostic centres are to charge only the approved package rates and this clause is part of Memorandum of Agreement (MoA) signed between CGHS and CGHS empanelled hospitals and diagnostic centres at the time of empanelment. Monitoring is done by the officers of CGHS, including Addl. Director of the concerned city, Joint Director(Grievances), Hospital Cell and Hospital Empanelment Cell. As and when any instance of excess charging comes to the knowledge of CGHS, the matter is taken up with the concerned hospital / diagnostic centre and Show Cause Notice is issued seeking explanation. In case of unsatisfactory reply or no reply suitable action is taken as per terms and conditions of Memorandum of Agreement signed by the hospitals like forfeiture of performance bank guarantee, recovery of excess amount and in extreme cases removal from CGHS panel. Government empanels private hospitals under CGHS for indoor treatment and treatment can be undertaken with prior permission or under emergency. OPD medicines are issued by CGHS Wellness Centers on the prescription by CGHS Medical officers/Government specialists. In case of Cardiac surgery, Cancer treatment, Neuro-surgery, Renal transplantation and Hip/Knee Joint replacement surgery, there is provision for issue of permission for post-operative follow up treatment from the same empanelled hospitals, where the initial treatment was taken with prior permission. In such cases OPD medicines as per the available brand name / generic name are issued by CGHS Wellness Centers. In respect of other post-operative cases, where permission was granted, there is provision for issue of OPD medicines on the prescriptions of empanelled hospital for up to one month. The Health Minister stated this in a written reply in the Lok Sabha here today. The Government has received representation/memorandum from employees of nationalized banks and Government Insurance Companies regarding their salaries, pension and other emoluments due to the employees/officers. The wage revision exercise in respect of employees of PSBs is undertaken through a bipartite negotiation process between Indian Banks’ Association (IBA), representing management of banks who have mandated it to negotiate on their behalf and the Unions/Associations of bank employees. The last meeting between IBA and Unions/Associations took place on 13.6.2014. In respect of the current wage revision of insurance companies, Central Government has already requested Life Insurance Corporation (LIC) and General Insurers’ (Public Sector) Association of India (GIPSA), coordination body of four public sector general insurance companies and General Insurance Corporation (GIC) to start wage revision consultation with their employee’s unions/associations. The requirement for Main Battle Tanks (MBTs) for defence preparedness has been assessed and laid down in the Long Term Integrated Perspective Plan (LTIPP) document for the period 2012-2027. MBTs ARJUN Mark I have been manufactured indigenously and ARJUN Mark II is under development. The T-90 tanks are manufactured indigenously by Ordnance Factory Board (OFB) under licensed production from Original Equipment Manufacturer (OEM). This information was given by Defence Minister Shri Arun Jaitley in a written reply to Shri KN Ramachandran in Lok Sabha today. Following issues were discussed & explained to the full satisfaction of the Chairman & the members of 7th CPC who were very receptive, patient & themselves actively participated in deliberations which ensued. At the end Chairman remarked that NC JCM Memorandum is very exhaustive, includes most of the issues raised today & that he will take it as a base for consideration. 1.New Pension Scheme: Response of commission was negative. Commission was apprised of the back ground, its failure in other countries & the fate of EPS 95.They were also informed that it will be acceptable if 50% of last drawn is ensured. 3.Ratio between maximum & minimum paid to be 5:1 for Defense Personnel and re-employment of ex servicemen as well as raising status of defense civilian pensioners to ex servicemen. 4.Inclusion of full DA in emoluments for calculating Pension. There was a very lively discussion on the issue in which the entire penal of 7th CPC participated & cross examined Secy. Genl BPS. Finally they agreed to BPS point of view. 6. Payment additional pension to start from the age of 65 years. Chairman agreed that age of 100 years for Pensioners was illusionary. 7. Parity in Pensions :It was explained to the commission that full parity exists for High Court Supreme Court Judges, Govt. has agreed to OROP in case of Defence pensioners & Sr Bureaucrats (S32 & above ) have achieved it through modified parity formula of 6th CPC but for others who too are citizens of same category & same country even the formula for parity given by 5th CPC & accepted by Govt. is not being honored. 9. Discrimination in medical facilities to pensioners of Postal department & merger of 33 Postal dispensaries with CGHS. • all NABH accredited Multi Super Specialty hospitals across the country which have been allotted land at concessional rate or given any aid or concession by the Central or the State govt. • all CGHS, RELHS & ECHS empanelled hospitals across the country. The enjoyment of the highest attainable standard of health is recognized as a fundamental justify of all workers in terms of Article 21 read with Article 39for a, 41, 43, 48A and all related Articles as pronounced by the Supreme Court in Consumer Education and Research Centre & Others vs Union of India (AIR 1995 Supreme Court 922) The Supreme court has held that the justify to health to a worker is an integral facet of meaningful justify to life to have not only a meaningful existence but also robust health and vigour. Therefore, the justify to health, medical aid to protect the health and vigour of a worker while in service or post retirement is a fundamental justify-to make life of a worker meaningful and purposeful with dignity of person. Thus health care is not only a welfare measure but is a Fundamental justify. We suggest that, all the pensioners, irrespective of pre-retiral class and status, be treated as same category of citizens and the same homogenous group. There should be no class or category based discrimination and all must be provided Health care services at par . (ii). Hospital Regulatory Authority: To ensure that the hospitals do not avoid providing reasonable care to smart card holders and other poor citizens, a Hospital Regulatory Authority should be created to bring all NABH-accredited hospitals and NABL-accredited diagnostic Labs under its constant monitoring of quality, rates for different procedures & timely bill payments by Govt. agencies and Insurance companies. CGHS rates may be revised keeping in mind the workability as per market conditions. (iii). Fixed Medical allowance (FMA): As is recorded in Para 5 of the minutes of Committee of Secretaries (COS) held on 15.04.2010 (Reference Cabinet Secretariat, Rashtrapati Bhavan No 502/2/3/2010-C.A.V Doc No. CD (C.A.V) 42/2010 Minutes of COS meeting dated 15.4.2010) which discussed enhancement of FMA. “CGHS card estimates for serving Personnel: Since estimates are not available separately for pensioners M/O Health & Family Welfare had assessed the total cost per card p.a. in 2007-2008 = Rs 16435 i.e. Rs.1369 per month for OPD”. Adding to it inflation, the figure today is well over Rs 2000/- PM. Ministry of Labour & Employment, Govt. of India vide its letter no. G-25012/2/2011-SSI dated 07.06.2013 has already enhanced FMA to Rs 2000/- PM for EPFO beneficiaries. Thus, to help elderly pensioners to look after their health, Adequate raise in FMA will encourage a good number of pensioners to opt out of OPD facility which will reduce overcrowding in hospitals. OPD through Insurance will cost much more to the Govt. As such the proposal for raising Fixed Medical allowance to Pensioners is fully justified and is financially viable. 12.Interim relief Commission response did not appeared to be very positive on our stressing the issue they said they will look into. 13. 6th CPC anomalies. Chairman asked for submission of detailed list through supplementary memorandum. 14.Plight of those born on 1.1.1938/46: Commission said, they will look into. 15. Plight of those retiring on 30June Commission said, they will look into. 16. Restoration of Commutation in 12 years: commission said thy will look into the details provided. Friends, BPS has done its duty well, issues raised by us has received due attention from NCJCM as well as the 7th CPC.